The Internet Has Lost It's Mind For "Hot Jafar." Burbank Airport MORE Stressful Than LAX For Travel?! Jessica Simpson's Adorable Family Holiday Photo! Text Between Strangers Starts New Thanksgiving Tradition! So Cool! 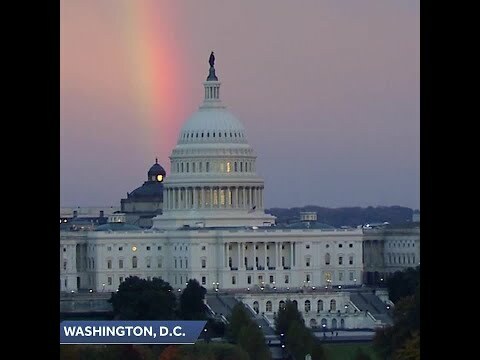 Rainbow Appears Over Capitol Hill On Election Night! Priyanka Chopra's Beautiful Bridal Shower Pics! Little Girl Gets Custom Halloween Costume For Wheelchair! Meghan Markle Wears Dress With Tag Attached!